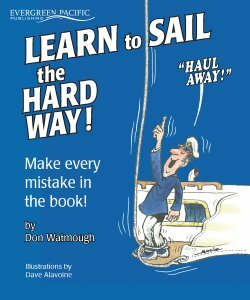 Evergreen Pacific Publishing has been providing the Great Northwest with boating books and nautical decor for over 50 years! Enjoy all our new maps and guides and don't forget that all our products are available through hundreds of nautical book retailers throughout the Northwest. 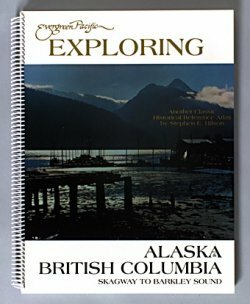 Nautical chart atlases from Evergreen Pacific cover the whole northwest region from the Columbia River and Puget Sound, through British Columbia and all the way to Skagway Alaska. The Walker Common Sense Logbook is our internationally best selling vessel log, featuring tabbed sections for all the most important information you need to organize for your boat. "Saltwater Fishing Journal" gives detailed instruction on how, where, and when to fish in the waters of Puget Sound, the San Juan Islands, and the Strait of Juan de Fuca. "Shellfish Guide" covers everything you want to know about all edible species of shellfish and includes over 40 healthy recipes to help you know just how to cook 'em up right. 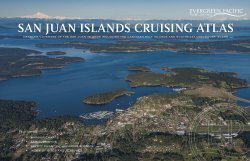 "Diving the San Juans" is a must have for the scuba diver in the San Juan Islands. Tide Guides for Washington and Oregon include more useful information on tides and currents in the northwest than any other pocket size reference guide available. Yes! We do custom imprint covers too! Tide Graph Calendars These handy tide calendars can also be customized (contact us for details) for your business or group. Reference charts incorporate the look and feel of nautical charts into the décor of your boat, office or home.